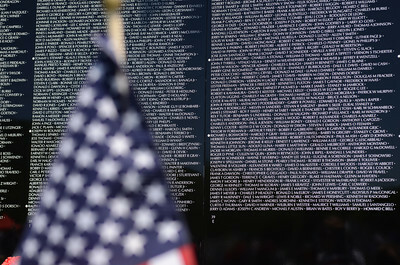 Diane and Richard Sholly, Beavertown, look for names they recognized in the traveling Vietnam Memorial Wall before the start of Saturday's ceremony for it in Union Town. 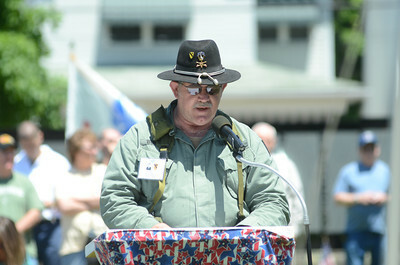 Richard Sholly is an army veteran and served in Vietnam in the 9th infantry division. 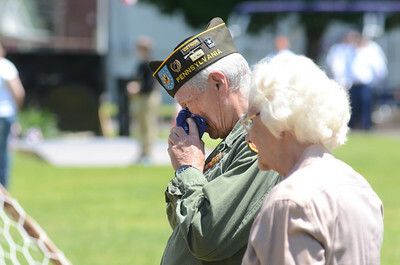 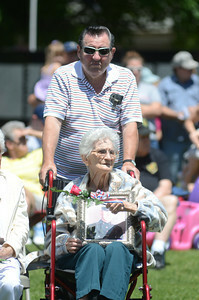 Vietnam veteran Kenny Feese, Coal Township, is comforted by Loretta Poliniak, Coal Township, during a ceremony on Saturday in Union Town, with the traveling Vietnam Memorial wall. 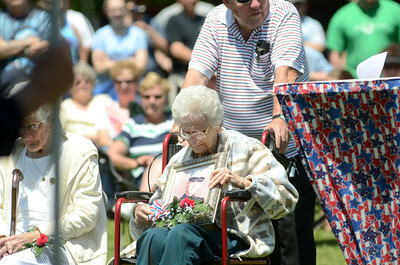 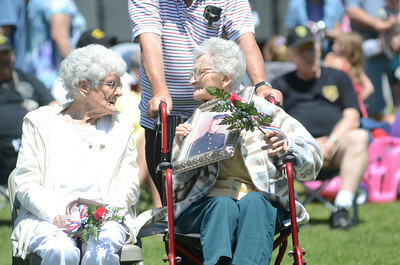 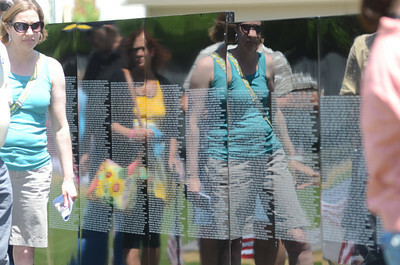 Gold Star Mother Margaret Yoder, Northumberland County, looks down at a photo of her son Edward Yoder Jr. who died in Vietnam during the war, on Saturday in Union Town during a ceremony at the Vietnam Memorial traveling wall. 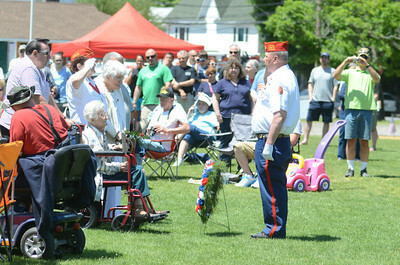 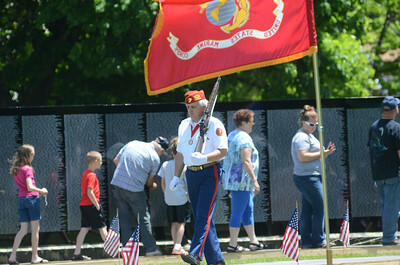 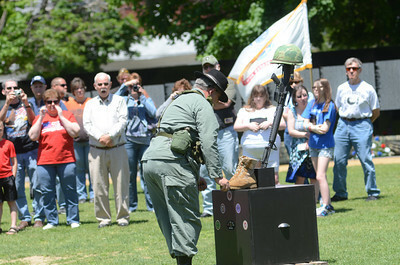 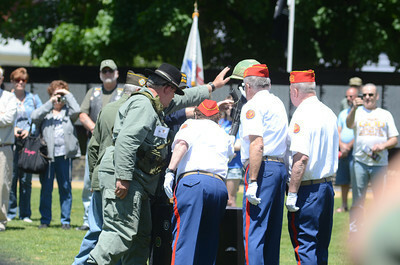 Vietnam Marine Corps veteran Ed Hancock takes a turn on guard duty at the traveling Vietnam Memorial wall during a ceremony in Union Town on Saturday. 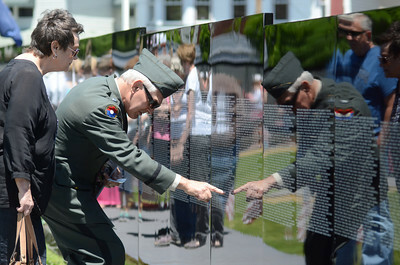 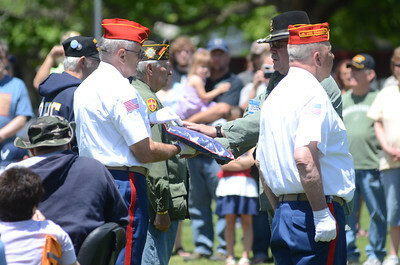 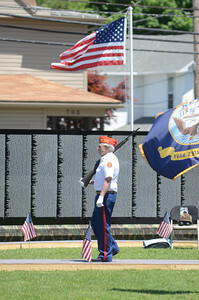 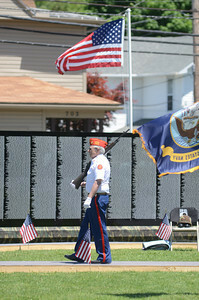 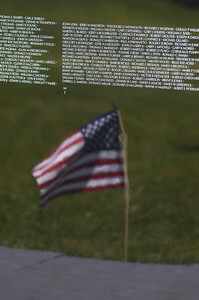 A flag is reflected in the traveling Vietnam Memorial wall on Saturday in Union Town. 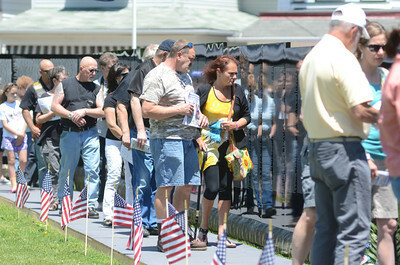 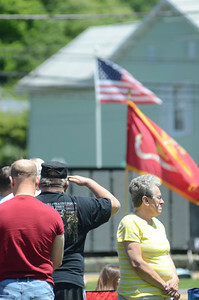 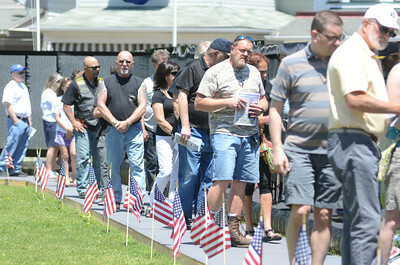 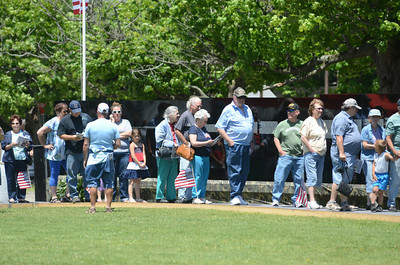 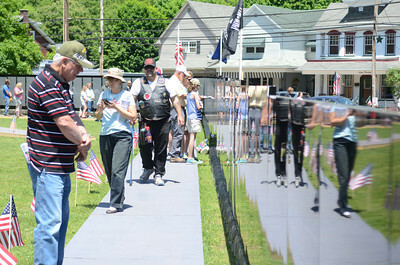 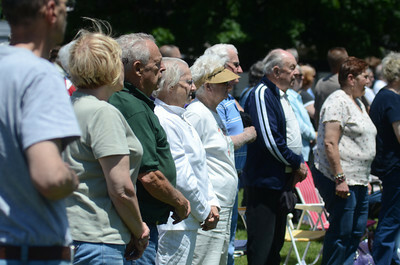 A crowd of people walk along the traveling Vietnam Memorial wall during a ceremony on Saturday in Union Town.